Our Managing Director, Mark Hudson has been invited to present a technical paper at the Chalk 2018 Conference. His presentation titled ‘London Chalk Mines – What Lies Beneath?’ will explain how Geoterra’s specialist team of geospatial engineers used revolutionary subsurface laser scanning technology to determine the full extent and volume of the unmapped chalk mines discovered beneath Pinner Wood School in Harrow, London in preparation for infilling. 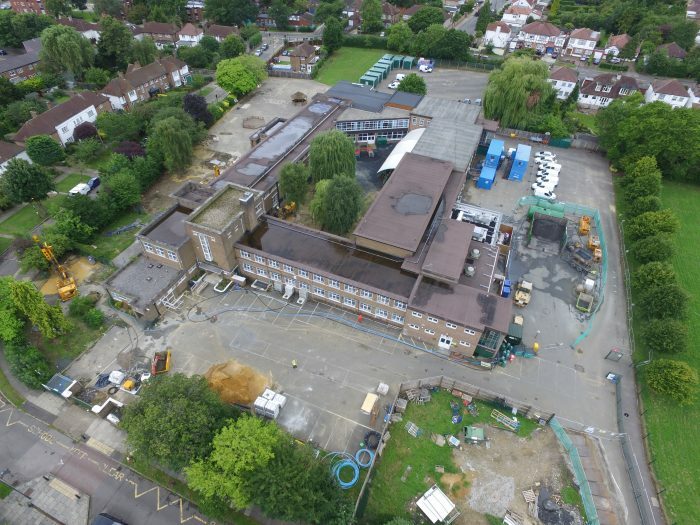 A highly complex project and a significant discovery of chalk mines discovered following a shaft collapse on the school grounds that resulted in the immediate closure of the school and relocation for almost a year whilst work was completed. This project received extensive media coverage locally and nationally. Mark also featured on the Channel 5 documentary Sinkholes, aired on 16 December 2017, to talk about how Geoterra surveyed the chalk mines. This two-day conference, which starts on Monday 17th September, is the first Chalk Conference in almost 30 years. The British Geotechnical Association (BGA) with support from the Engineering Group of the Geological Society (EGGS) will be hosting a major international conference on engineering at Imperial College in London. The conference seeks to bring together the knowledge and experience gained in the last three decades by presenting research and case studies to provide a definitive up to date perspective on a variety of themes relating to engineering in Chalk. There will be opportunities to listen to a line-up of keynote speakers from the industry, plus an opportunity to visit the industry exhibition, and network at the pre-event drinks reception and dinner.